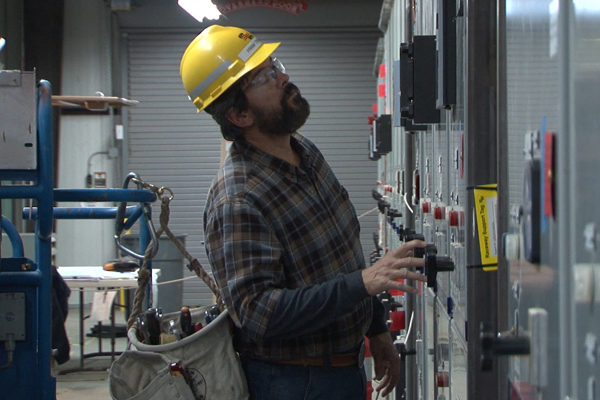 Building 87 switchgear components went through months of testing and verification before being energized. The Vit Plant recently attained a significant achievement when it safely brought in permanent power to Building 87, the primary electrical switchgear building at the 65-acre construction site. The installation of a permanent energy supply occurred on Sept. 17 at approximately 8:30 a.m. when the initial breaker was closed from a substation on the Hanford Site connecting site power to the Vit Plant electrical distribution system. By late morning, three remaining breakers were closed, and startup test engineers began system testing of Building 87’s electrical components. The plant’s four major nuclear facilities and 21 infrastructure systems and facilities have been operating on temporary power, which is typical for buildings under construction. As the remaining construction for the infrastructure facilities is completed, the facilities will be properly tested and will then be provided additional permanent utilities such as water, compressed air, steam and fire protection. 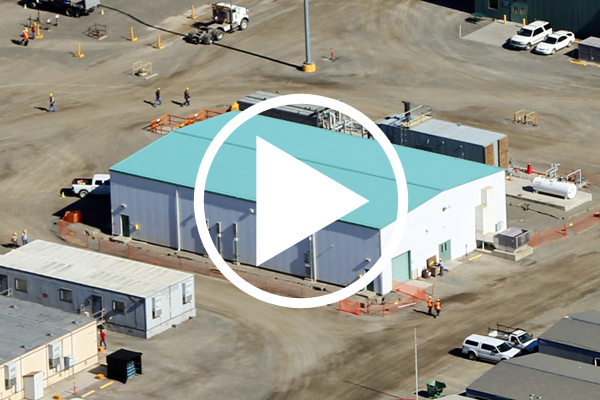 The successful completion of all infrastructure facilities will enable the plant to operate the Low-Activity Waste (LAW) Facility and the Analytical Laboratory, as part of the Direct Feed Low-Activity Waste process, or DFLAW. The Analytical Laboratory is currently 95 percent complete, and construction of the LAW Facility is expected to be complete in mid-2018. Through DFLAW, DOE expects to begin waste treatment as soon as 2022. Read more about the energization of Building 87 at http://bit.ly/2d4tQlc. 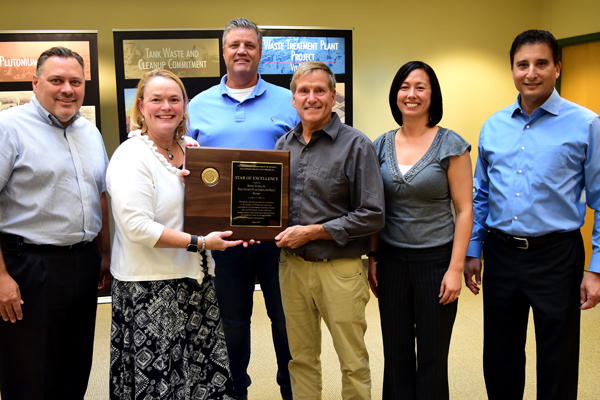 Vit Plant managers pose with the VPP Star of Excellence plaque and the DOE-VPP representative. For the second consecutive year, the Hanford Vit Plant construction site was recognized by the Department of Energy’s Voluntary Protection Program (DOE-VPP) with the Star of Excellence award for its safety statistics and mentoring efforts in 2015. 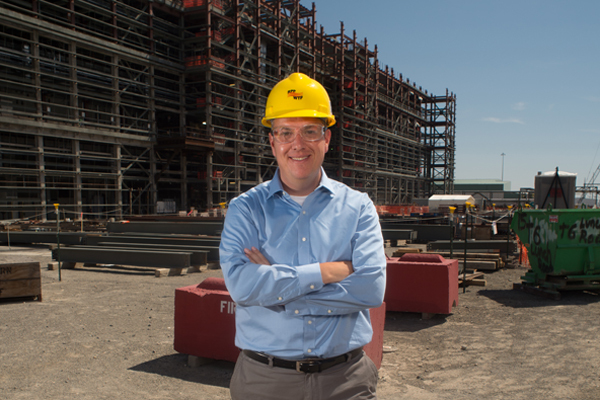 The award highlights a commitment to safety by all employees. The Star of Excellence is the highest category of the DOE-VPP annual achievement awards, and earning the award in consecutive years highlights the fact the Vit Plant recorded a lower total recordable case rate (TRC) for the fourth-consecutive year. TRC rates can be used to show a relative level of injuries and illnesses among different industries. In 2015, the site reported its best safety performance ever with a TRC of 0.57. For comparison, the Bureau of Labor Statistics national average for other construction sites was 3.0 in 2014. 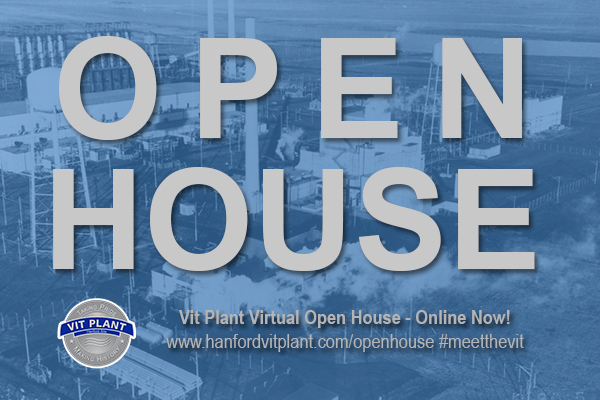 Each week, a new section of the virtual open house is opened. Six sections have been opened thus far that include information about early Hanford, the Vit Plant facilities, our employees and more. Later releases will highlight areas such as the construction site, more Vit Plant facilities and safety and quality. "I have a clear vision of success. 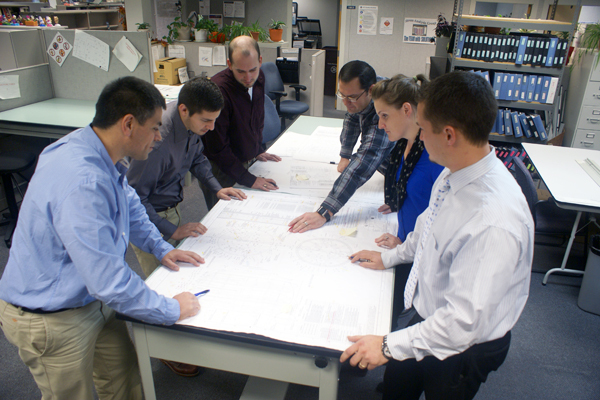 . . pivoting the facility back to full-production engineering, procurement, and construction (EPC)." Who says you can’t have fun at work? 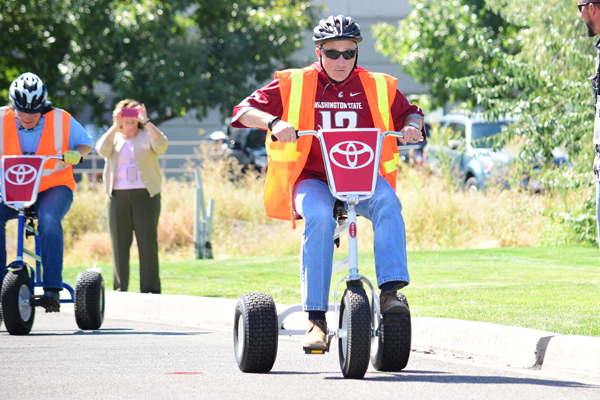 Vit Plant managers raced tricycles in the parking lot at lunch as part of a fundraiser for the Vit Plant’s 2016 United Way campaign. Employees raised more than $1,500 during the fundraiser, which supported the United Way of Benton and Franklin Counties. The Vit Plant’s annual campaign included multiple employee-sponsored fundraisers to support the local community. Vit Plant employees donated more than $450,000 to the United Way in 2015. 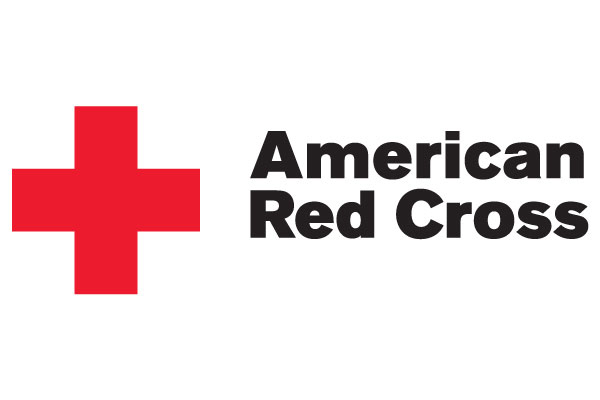 In September, the Vit Plant held a blood drive for the American Red Cross. Employees donated 41 pints of blood, which can be used to save up to 123 lives. In 2016, the Vit Plant has held four blood drives and donated 188 pints of blood. The final drive of the calendar year will be held in December. 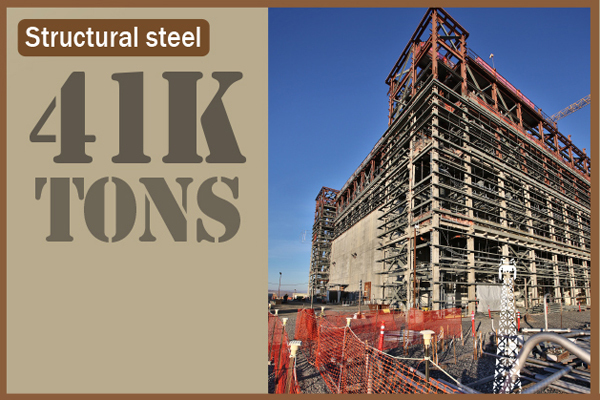 The Vit Plant requires 41,000 tons of structural steel, which is the equivalent of more than four Eiffel Towers. Before it operates, the Vit Plant must meet, and prove it has met, more than 11,000 technical requirements from various sources, such as its contract; federal, state, and local laws; and DOE orders. These requirements ensure the plant operates safely by protecting workers, the public, and the environment. Copyright © October 2016 Bechtel National, Inc., All rights reserved.